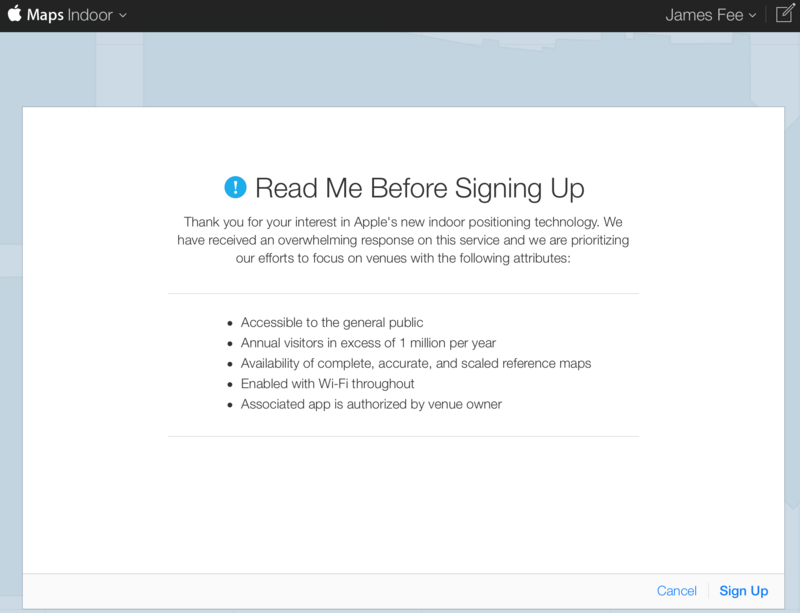 Over the weekend Apple apparently pushed out an indoor positioning app ‘Indoor Survey’ into the iOS App Store. Interesting in the sense it appears to be an app that stores can use to map their interiors with iOS devices. It’s not a crowd sourced indoor mapping application. This dovetails nicely with the other announcement this morning about their new Maps Indoor service. The groundwork is set for Apple to start mapping interiors of these large open venues. But with an app and an iPhone, clearly Apple is planning to scale this out to just about every indoor location. I suspect we’ll see stadiums, amusement parks and other entertainment venues appear first over the next year.